The girls are keeping us busier than ever. But of course we can not believe how much they have grown. Adisyn being my little helper decided to climb on the dishwasher and re-organize the dishes a million times, kept her entertained for awhile. 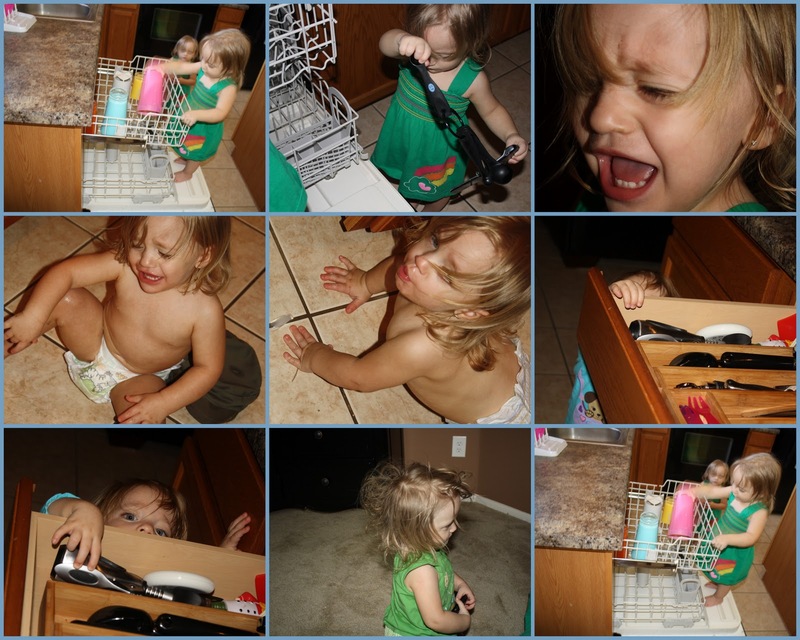 And Adisyn also figured out how to open the kitchen drawers. Seriously how much more can I child proof this house! Also Shawn and I recently took on a new house project and are just thrilled with how it turned out. Pretty afforadable, just redone with some elbow grease. Aww, they are soo big now! I love that they are your helpers, you have some adorable little girls! Your dresser is beautiful, I love it! !